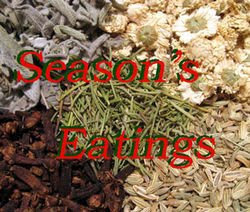 Fellow blogger, Katie of Thyme For Cooking has hosted a fun foodie swap called Season's Eatings for the holidays. I participated in this and my package of goodies arrived today... from Barcelona Spain! Nuria picked this up from her local Farmer's Market. She says they've been harvested recently and are famous in Spain for their fine and tender texture when cooked. Ceps: A type of mushroom which are great with meat, omelettes and rice. Noras: This is a small dry pepper that is used in sauces, stews and with legumes. A great spice, especially coming straight from Spain... and is essential in paella! If you have any recipes using the above ingredients, I'd love to hear about them! I know Nuria has quite a few in her blog that I hope to try soon! Oh wow that is a really cool exchange! My sister brought me back some jarred black truffles from Spain last year...I'd love to find some of those! What wonderful treats! Saffron - Paella - can't wait to see what you do. And those beans are great! I'm not familiar with the 'nora.